240 Horse Power 6 speed Manual., 200 Litres Fuel Capacity. 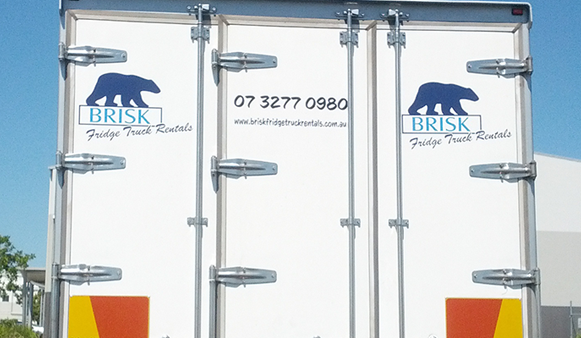 Eight Pallet refrigerated body ,5700 mm Long x 2490 mm wide x 2350 mm High Ext. 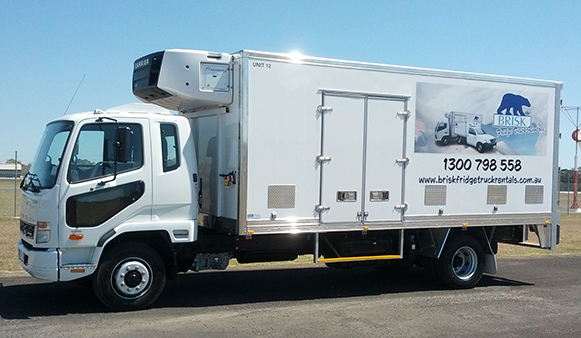 2013 Fuso Fighters on springs .240 Horse Power 6 speed Manual., 200 Litres Fuel Capacity. 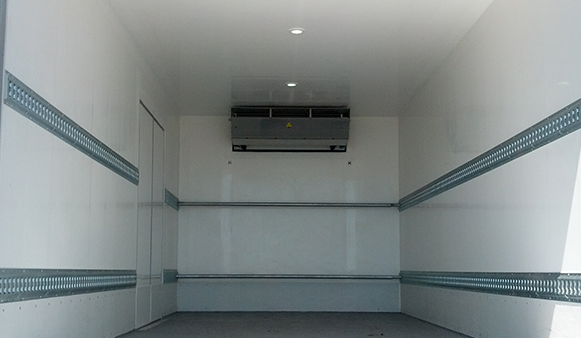 The Carrier Supra 950 refrigeration can cool to – 30 degrees as well as ambient temperatures. The unit has 240 volt three phase electric standby capability. Tare weight : 6880 KG – GVM : 12,000 KG.